A Meatless Monday! It was an invitation I couldn't turn down, and I am so glad I went (and indulged). 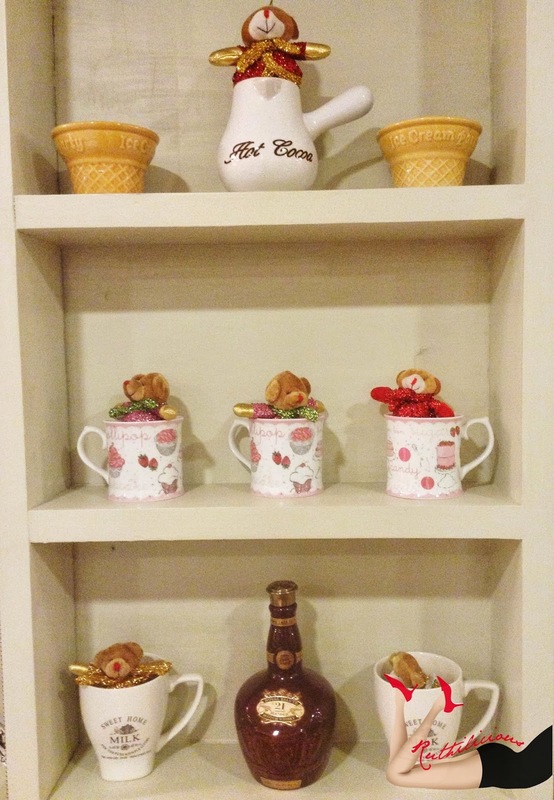 In the lovely, quiet nook along Katipunan in White Plains, we settled in Harina Cafe with Atty. Marina (Harina Artisan Bakery Cafe owner) and 5 other foodies for a green treat. I used to pass by the area on the way to work, and I was always curious about the artisan bakery cafe. Harina Artisan Bakery Cafe opened in November 2013, sharing the space with Monsee's which is known for assorted breads, breadsticks and Spanish bread. 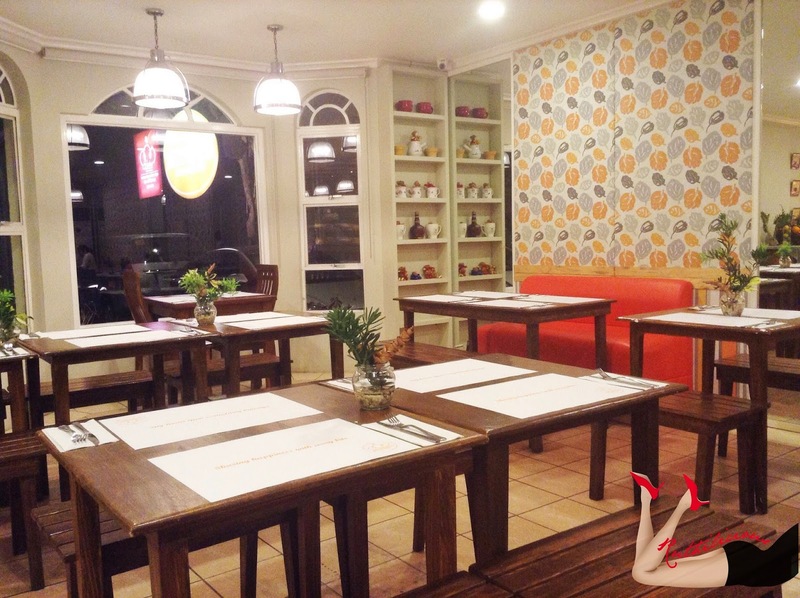 Harina Cafe offers classic sandwiches, rice meals and pasta. And just recently, Harina Cafe introduced the Meatless Monday. I think it is the first restaurant cafe in Manila to promote and support this campaign. Sally Yunez, (who was also in the cafe during our visit), who is an advocate of vegetariam iand has helped develop the vegetarian recipes shared that Meatless Monday is an international campaign. Although they are not connected to the proponents of the international movement, they decided to adapt the name since they have the same aim. The goal is to encourage people to not eat meat at least once a week to improve their health and help the environment. Monday is the best day for this because it is the start of the week, and people are usually enthusiastic and raring to begin something new, and something good on Mondays. 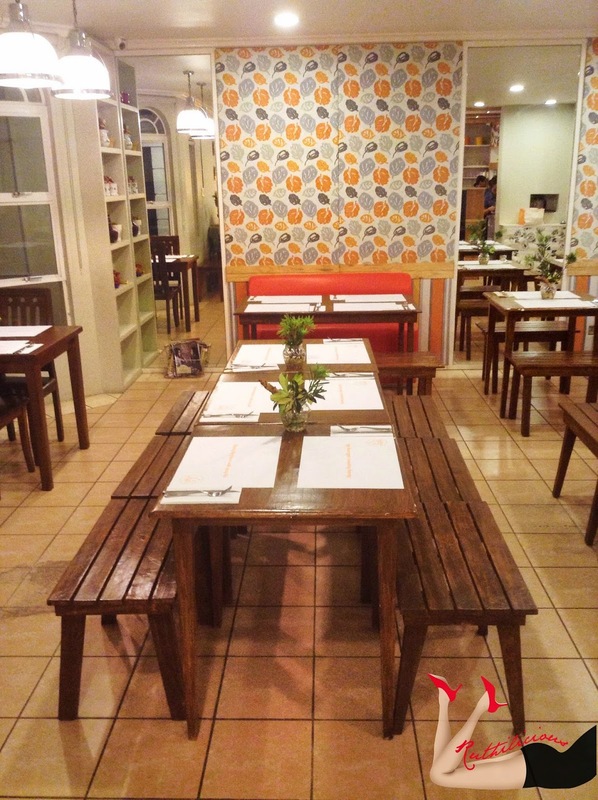 Harina Cafe will be setting aside their usual menu and offer unique dishes every Monday. If you think that the menu is all about Adobong Kangkong and Boiled Sweetpotato (Kamote), I am telling you that carnivores would even be tricked with how interesting the dishes are - both the presentation and taste. We were first served with this slab of (not meat) warm watermelon topped with cheese, arugula and crushed walnuts drizzled with balsamic oil. They call it the Red Planet (Php 180). It was love at first bite! 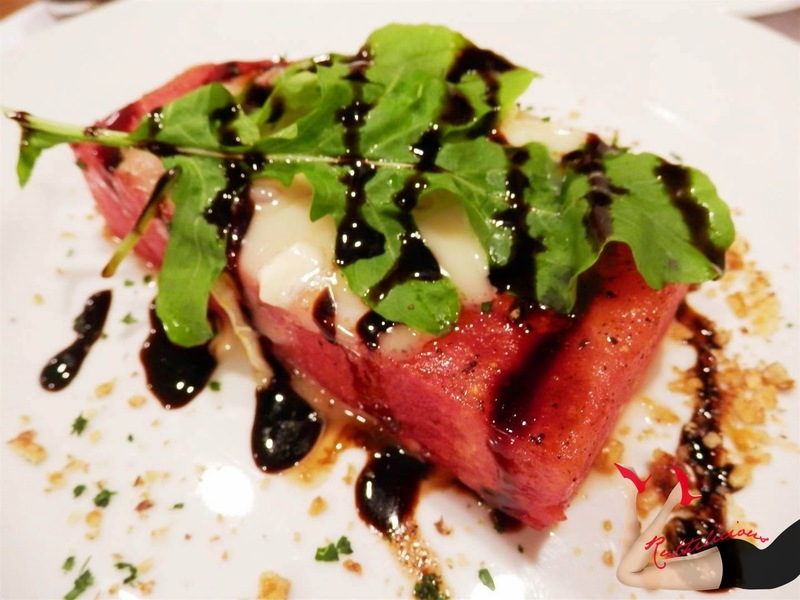 The warmth watermelon burst with flavors of cheese, arugula and balsamic oil. The contrast of flavor, temperature and texture were amazingly good. How would one know that watermelon can be served warm, and can pose like a thick slice of red meat? It did whet the appetite, and was surprisingly filling. 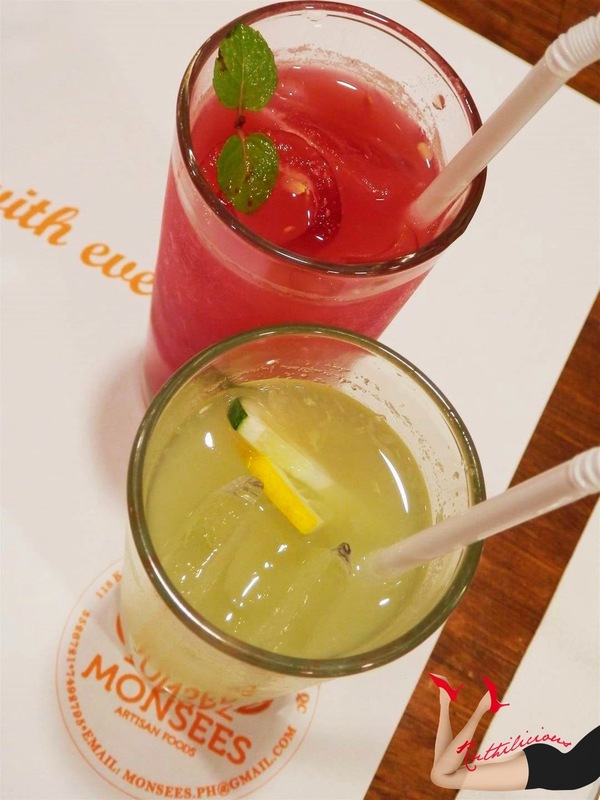 To complement the good food, we had two special drinks on the table - Red Electrolyte (Php 150) is a mix of fresh apples and watermelon juice. 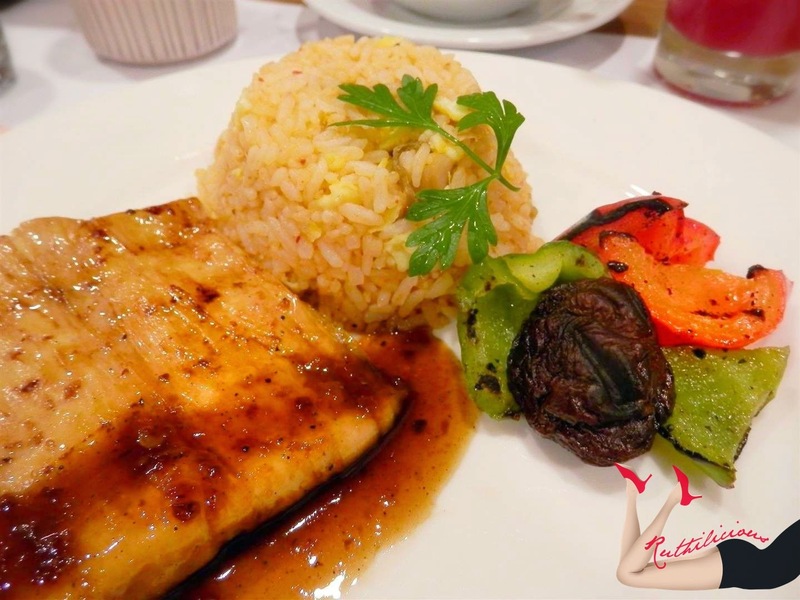 Click Read More to see more Meatless Mondays offerings from Harina Cafe.. The Green Electrolyte (Php 150) is a refreshing concoction from cucumber, lemon and lime. 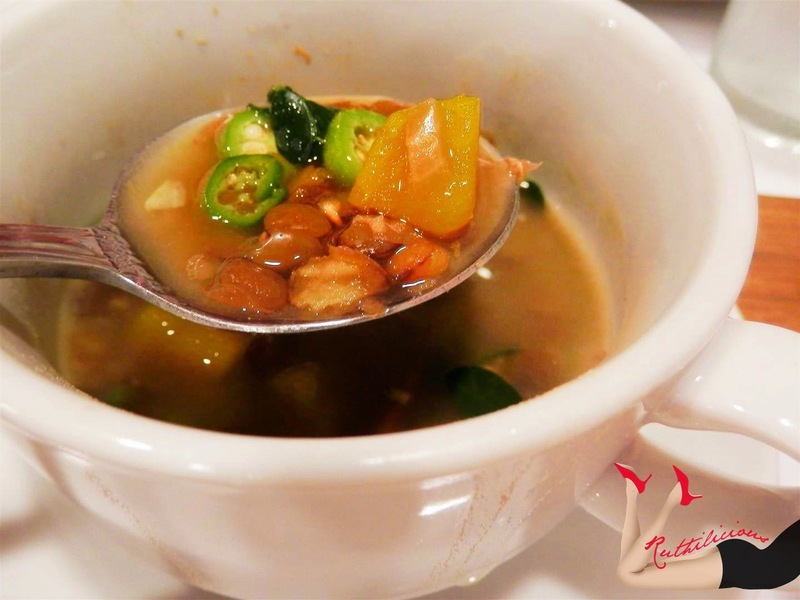 Lentil Soup (Php 120) is warm broth with vegetables and lentils. It was so good and flavorful that part of me wanted to ask for a cup of rice to enjoy this thick soup with. The Melon Celery Salad (Php 160) worked like an appetizer and dessert. The cream yogurt dressing was perfect with the melon cubes and crisp celery. It made a good "breather" from all the different flavors. After a bite or two, you would be ready to taste the new dishes and flavors. We were also served with rice meals, like the Kimchi Fried Rice with BBQ (Php 250). At first look, I thought what was served was meat, but that delicious serving of "white meat" was actually beancurd! The flavor and texture gave a sensation of eating a real meat! Something more familiar is the Arroz Cubana (Php 230). 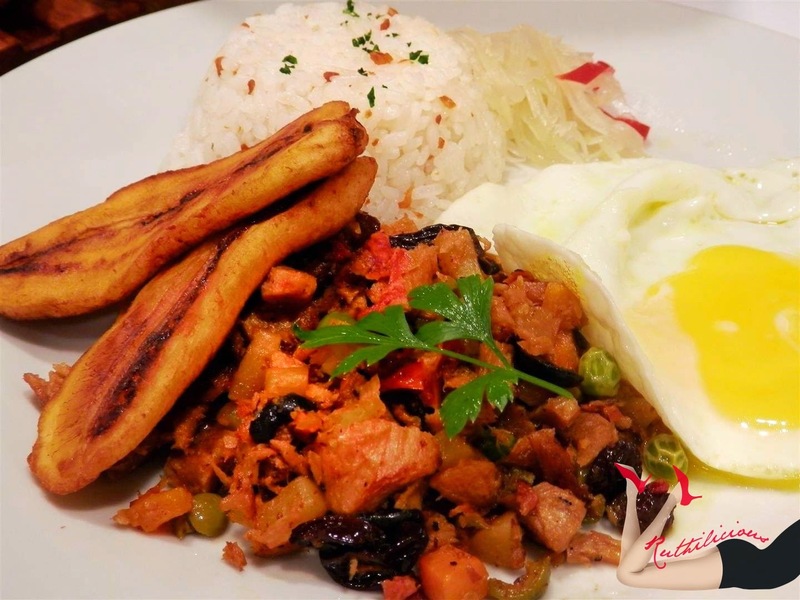 It's a savory mix of potatoes, carrots, and soy protein served with fried egg, plantains, and steamed rice. The cubed soy protein were chewy and flavorful, it felt like eating real chunks of meat! The real treat for me that night was my first taste of Dinuguan (Php 230). I do not eat blood (it is a personal choice too) because I find it malansa (I don't know the English translation ;) - the same with internal organs used as meat flavorings for most of Filipino dishes. I do not eat them. I love that Harina Cafe let me experienced how good and flavorful Dinuguan is! (well, I first tasted puto dinuguan at Rapha Valley Organic Farm) It is rich black stew made from seaweeds teeming with black mushrooms, banana blossoms, and soybean curd. Its flavor is like that of Kilawin. I asked if this is something I can eat with rice, but they say it is best paired with puto! So if you are a member of a religious group which restricts eating Dinuguan, you can go to Harina Cafe for your first Dinuguan experience. In between bites, we also enjoyed the Bruschetta Platter (Php 310) and a meaningful conversation about vegetarism and Meatless Monday. Ms. Marina shared that vegetarian people are more calm and focused (I have witnessed how calm and composed she was while driving in the busy streets of Manila on our way home). 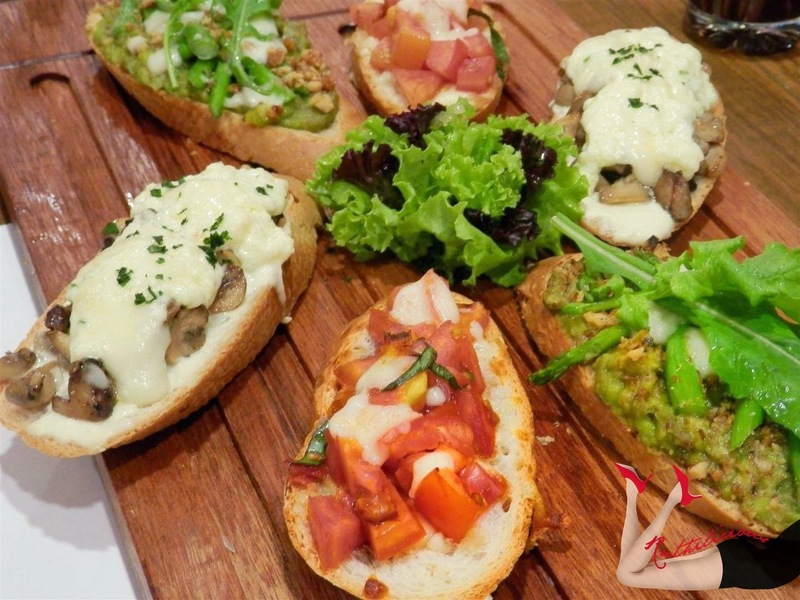 Bruschetta Platter is made of toasted slices of classic baguette presented three ways: avocado, asparagus, and arugula; herbed tomatoes; and sliced mushrooms with cheese. I thought probably, the rage and our animalistic ways are taken from the meat that we consumed (animals). We are what we eat, so they say. 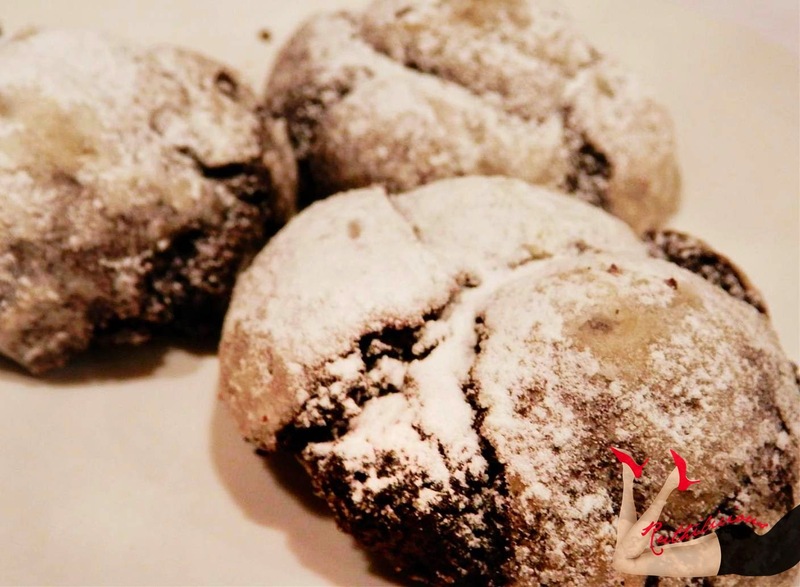 We capped the meal with chewy cookies and crinkles from the Monsee's Bakery. It was a delightful dinner. 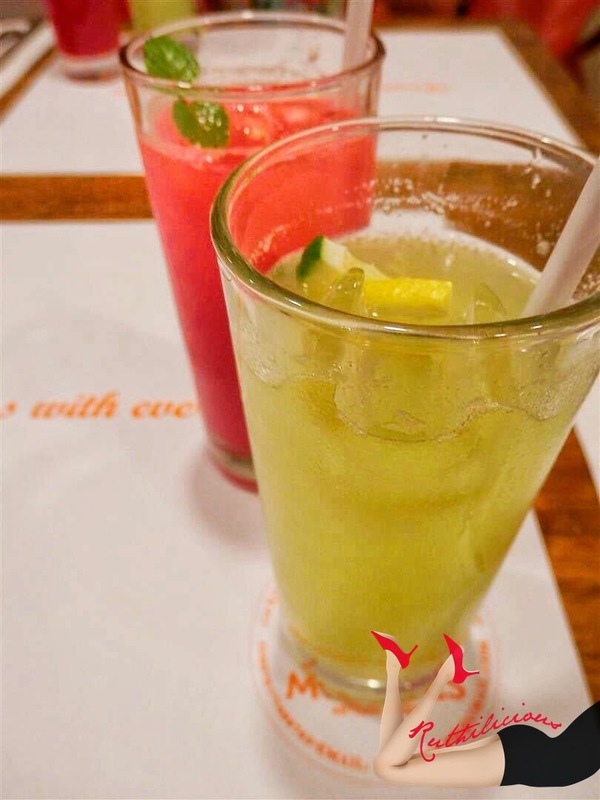 True to the Harina Cafe's tagline "Sharing happiness with every bite", they have shared more than happy memories with the new offerings from the Meatless Monday menu. Being a vegetarian for a day is a good start. 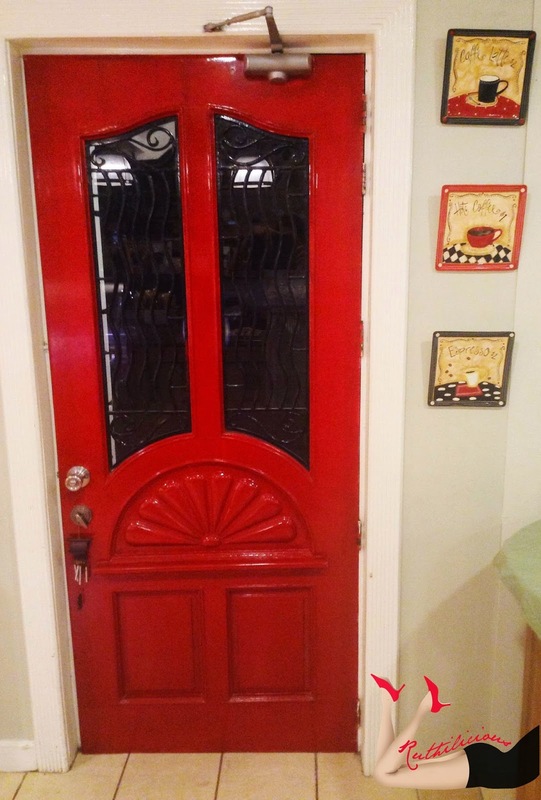 As Chef Sally has shared, "we would like people to change their mindset on vegetarian food. It can be as delicious or even more palatable than your regular food. This is also our way of sharing our knowledge in preparing vegetarian food." If you are dropping by Harina Cafe for a vegetarian meal, don't forget to grab some delicious baked goodies from Monsee's! 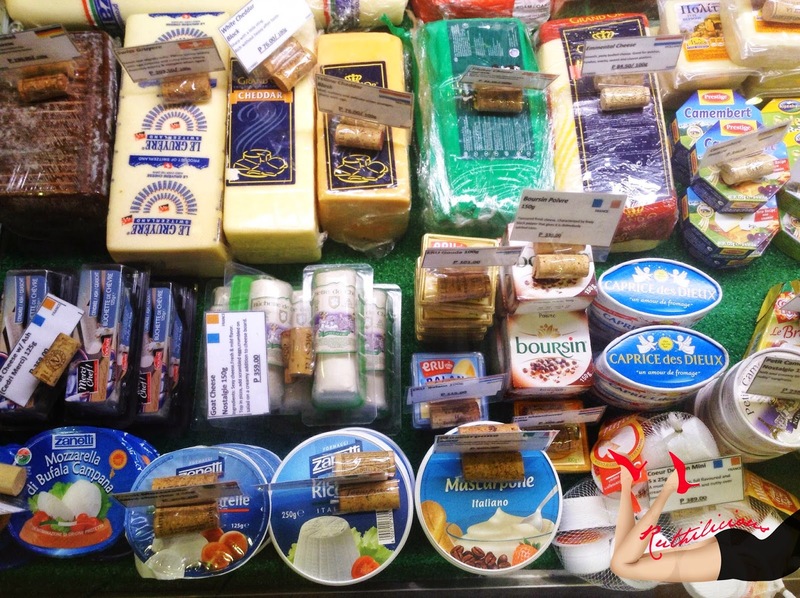 There are also selling yummy cheese and cold cuts! The Meatless Monday offerings in Harina Cafe is a new food trend that would excite both vegetarian and those who are afraid of vegetables ;) Green is in! The Meatless Monday menu is available every Monday, but rice meals like Arroz Cubana and Kimchi Rice are available everyday. Harina Cafe is open for suggestions and comments about their meals, so feel free to tag them at @HarinaCafe in Instagram. More flavorful vegetarian dishes are coming up in a few weeks!